An elegant necklace with a exquisite, hand-carved Buddha focal. 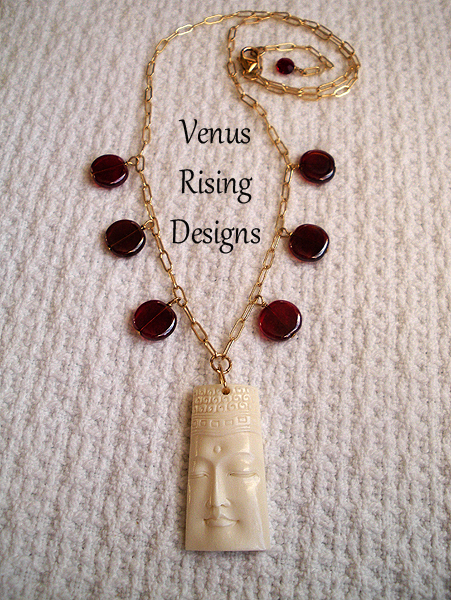 The Buddha head goes beautifully with the deep red, vintage Czech glass dangles. 20" and has a 2" extender with a vintage, faceted crystal bead. Gold-filled beads and chain, with a vermeil (gold over sterling) clasp.